Lisa joins the Church of Scientology. for some years Lisa lives in California. Lisa sends a letter to join the Cult Awareness Network, an anti-cult organization that was at the time under attack by Scientology. Many Scientologists at that time were trying to join CAN in an apparent attempt to take it over. Lisa writes in her diary about her recovery from a herniated disc; "I know what not having my health is like and I appreciate mine a lot more." Lisa donates $75,275 to Scientology this year for services, and another $55,000 as a donation. Lisa speaks to a friend outside Scientology. 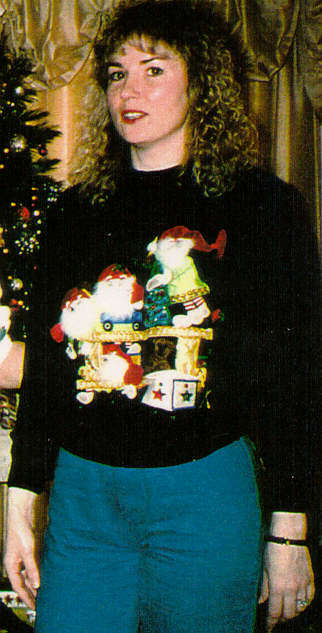 On the evening of Nov. 18, 1995, McPherson was driving her 1993 Jeep Cherokee on South Fort Harrison Avenue. A motorcycle accident had stopped traffic and McPherson smacked into a boat trailer being towed by a Ford pickup. A psychiatric nurse was called, Andrews said. He said church members showed up at the hospital, said they didn't believe in psychiatry and insisted on witnessing the interview. The Scientologists said they would take care of Lisa 24 hours a day. Before she leaves Lisa has a short psychiatric evaluation. Lisa's mother stated her daughter's Scientology friends told her that, upon arrival at the Fort Harrison on Nov. 18, Lisa McPherson was put in ``baby watch,'' which an ex-church member says is Scientology terminology for solitary confinement. Susanne Schnurrenberger allegedly stated that she was assigned to Lisa the first 2 days of her stay at the Ft. Harrison. She walked with Lisa along the beach and tried to work with Lisa as Lisa was not sleeping at all. At some point, church attorney Elliott Abelson stated, Lisa was pounding the walls with her fist. Lisa is billed $240 for "expansion of havingness" tape series. According to the medical examiner, the last possible day Lisa has any liquids. Abelson said that near the end of her stay at the Fort Harrison, McPherson's skin took on a yellow tint. She was seen by someone from the church's Medical Liaison Office, which refers church staffers to health professionals. "It didn't seem to be an emergency situation," he said. Elliott Abelson stated that Lisa asked to be taken to a Scientology doctor and that she walked part way to the van. 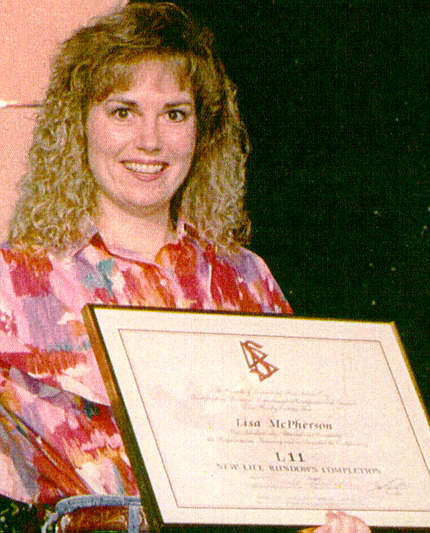 Liebreich [Lisa's aunt] said McPherson died with $11 in her savings account. DEC. 6 Clearwater police begin an investigation, which is later joined by the Pinellas-Pasco State Attorney Office and the Florida Department of Law Enforcement. ``The Clearwater Police Department doesn't think she died of natural causes,'' said police spokesman Wayne Shelor. Lisa's family goes to her apartment at 901 N. Osceola Ave. in Clearwater. People were there carting away Lisa's belongings. The family gets a few belongings. The Clearwater Police put up a request for information concerning lisa's death on their web page. I notice the police homicide.htm page while looking at other Clearwater page stuff in preparation for the picket in Clearwater coming up. I post about it for the first time. The Tampa Tribune reporter Cheryl Waldrip breaks the story of Lisa's death in a front page story. The St. Petersburg Times carries a story on Lisa. The St. Petersburg Times in an editorial calls for a thorough investigation into Lisa's death. The Tampa Tribune also calls for a thorough investigation. The Tampa Tribune has a Second article about Lisa which includes more personal information. I make this memorial page public. Inside Edition runs an excellent report on Lisa's death. Joan Wood, the medical examiner is interviewed. Church attorney Abelson is interviewed and contradicts what Wood says. For instance, Wood says Lisa had cockroach bites, while Abelson says they were mosquito bites. The Church of Scientology filed suit against the Pinellas-Pasco Medical Examiner Tuesday in an attempt to get access to records of a Scientologist whose death is being investigated. The suit states that because Medical Examiner Joan Wood made comments to the press last week about the death of 36-year-old Lisa McPherson, all the records from the death investigation should be available to the church. Clearwater in discussing three people the police want to question, Detective Sgt. Wayne Andrews said he thinks Susanne Schnurrenberger is in Switzerland or Germany, Ildiko Cannovas is probably in Hungary and Laura Arrunada may be working in the medical field in Mexico. These three are wanted by Clearwater police for questioning (Susanne has been found). He recently asked for help locating them by posting a request for information on the Internet. banhut@mail.hh.provi.de (Betti Freimann/Gefecht) posts to a.r.s. that she has conversed with Susanne Schnurrenberger, one of the 3 people the Clearwater police want to question in Lisa's death. Ken Dandar, representing Lisa's estate, files a wrongful death suit against the Church of Scientology. Circuit Judge Bob Barker rules that some autopsy photos of Lisa may be released after the Church of Scientology sues the medical examiner for the right to see the autopsy evidence in Lisa's case. The photos show emaciated arms and hands with bruises and sores, and large bruises on her hips are visible as well. There are scabs on her knuckles. A barefoot woman ran from the Ft. Harrison Hotel to the Sandcastle Hotel early Saturday before jumping into Clearwater Harbor, where police took her into protective custody for a psychiatric evaluation. Jeff Jacobsen during a picket in front of the Ft. Harrison asks Brian Anderson how often Brian goes to funerals and asks that the body be cremated. Is this a practice of the church? Brian's answer; "keep moving." About 20 people hold a candlelight memorial for Lisa across from the Ft. Harrison Hotel. About 300 Scientologists crowd the sidewalk and taunt, bump, and blow out the candles of the mourners. St. Petersburg Times reports that 5 other prominent medical examiners agree with the local medical examiner that Lisa was probably without liquids at least 5 days. Inside Edition runs a second program on Lisa. They find the medical liason officer for Flag at the time of Lisa's death, Janis Johnson-Fitzgerald. She refuses to talk, however. They catch Abelson in a mis-statement because he claimed there was no one with medical training at the hotel during Lisa's stay (Janis was a doctor in Tucson Arizona before moving to Clearwater). Janis is one of the three Scientologists who drove Lisa to the hospital on December 5, 1995. A German TV program interviewed Mike Rinder of the church. Rinder stated that Lisa had died while at the Ft. Harrison Hotel, thus contradicting Elliott Abelson's claim that Lisa died just before she arrived at the hospital. Abelson is sitting right next to Rinder. December 5, 1997 About 45 people stand across the street from the closed Ft. Harrison Hotel at 6:30pm to commemorate the 2nd anniversary of Lisa's death. They hold lit candles while a bagpiper plays. As they leave they place a wreath against the Ft. Harrison Hotel. Some people place flowers on the wreath as well. Mourners blew out their candles and left. By the time I got to my car and drove by the hotel, the wreath was already gone. November 2003 STILL no date for civil wrongful death trial.